Our 4 year warrenty greenhouse plastic is a must for any greenhouse grower! 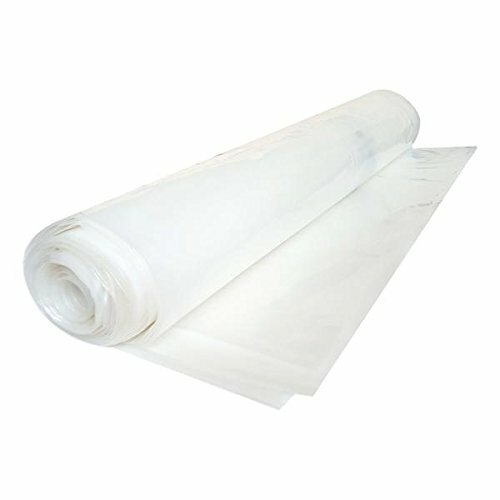 The clear UV resistant polyethylene plastic is built to stand up to the elements. With a 4 year rating our greenhouse film meets the NSRC requirements. Built in anti dust protection will keep your plastic at optimal transmition for longer. Life of the plastic can be extended with minimal matiance by periodically cleaning with soap and water. The built in technology of our plastic allows you to extend your growing season. It helps to retain and heat your greenhouse in the winter months. As with any polyethylene plastic do not put in direct contact with PVC frames. A primer or backing should be used for contact on pvc piping.